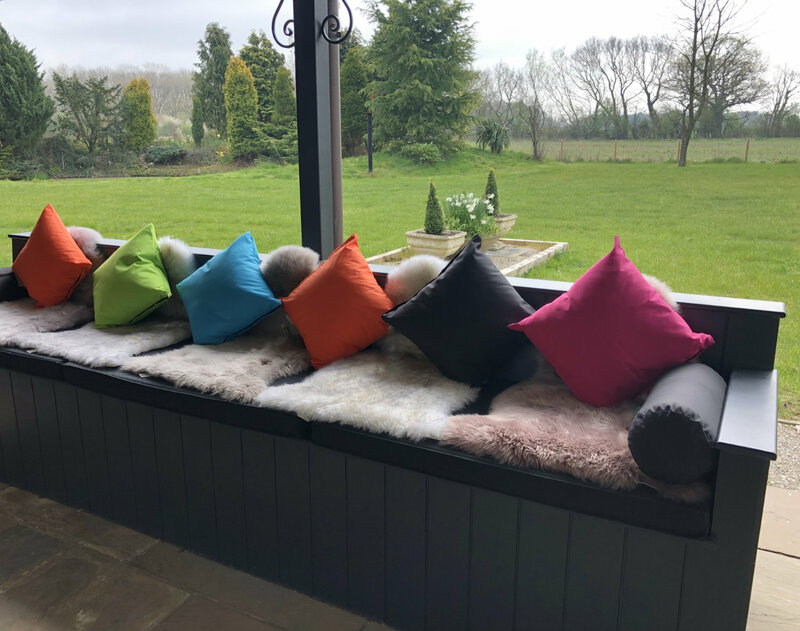 This week, I was invited to an amazing event at Woodland Lodge Retreat in East Yorkshire, organised by Bhavna Barratt, a local photographer. 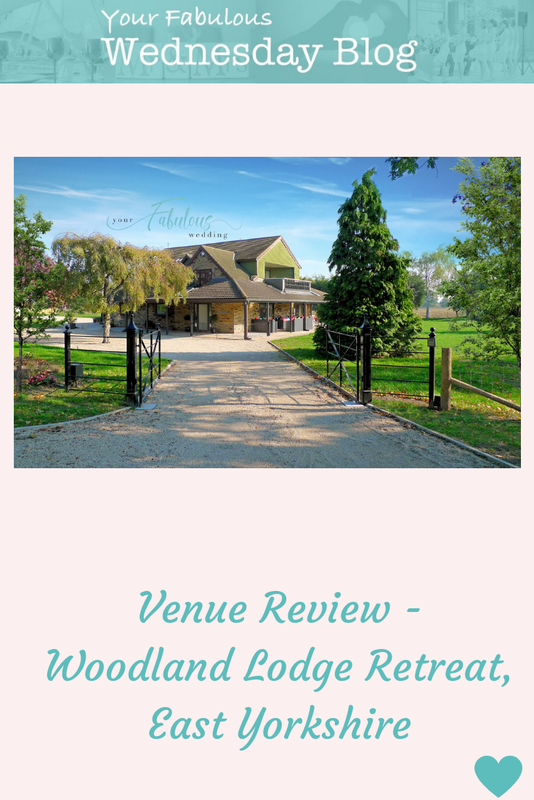 A number of planners attended and we were thoroughly spoilt by Ian and Angela, the owners of Woodland Lodge. We arrived on Monday lunchtime and were treated to drinks and cake straight away – a fab start to the visit! Ian and Angela showed us around their incredible property which they have lovingly renovated. The house is now available to rent for groups of up to 14 people. More about the house later. We then headed into Howden for a nosey around this lovely little village. The village is home to an incredible florist, All Occasions, and a stunning bridal wear boutique – Chloe Jane Bridal Wear. Ian and Angela also own Bishops Manor which is situated in the village. The Manor is licenced for civil ceremonies and has some great original features. It’s set in a pretty garden and is really close to the park too so there’s plenty of photo opportunities for you. We then had the most amazing lunch at The Kitchen tea room. The menu is unique and every meal was just perfect. The cakes in here were something else. Such a shame none of us had any room left for them! In the evening, Ian cooked up a storm on the barbeque while Angela made lots of tasty side dishes to complete our meal. Dessert was sticky toffee pudding, strawberry pavlovas and lemon posset – all homemade and all incredible! We each had our own room in this stylish house and we all slept really well!! On Tuesday morning, Ian and Angela treated us to a lovely breakfast before we all had to head back to the real world. I’m often looking for big houses like this for our family holidays. Some of the key things I look for are a space where we can all eat together. As well as a sitting room which is big enough for us all to relax and then play silly games! Ian and Angela have nailed both of these aspects. Their beautiful dining room with a bespoke table seats 14 comfortably. 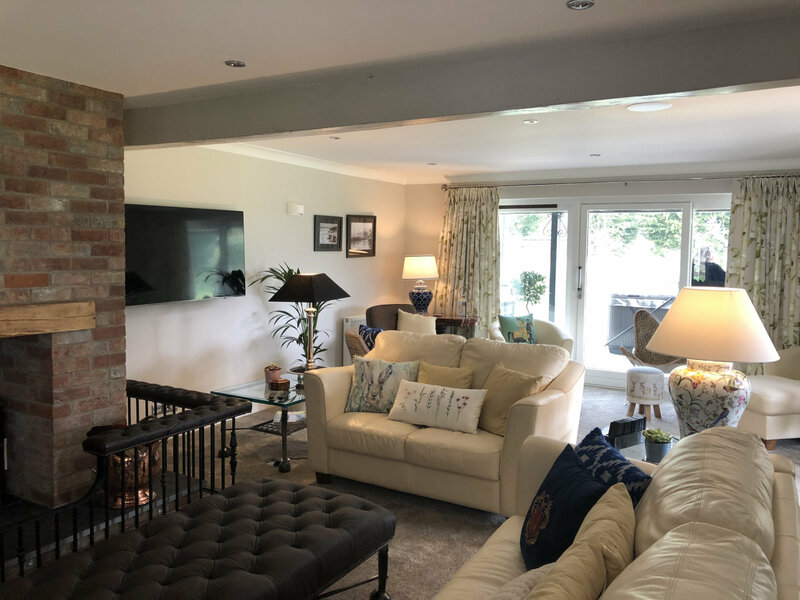 The living room has a number of sofas and chairs around an open fire which also has additional seating built into it. The attention to through the whole house, is amazing. Candles, lamps and pictures help to create a homely and welcoming feel. 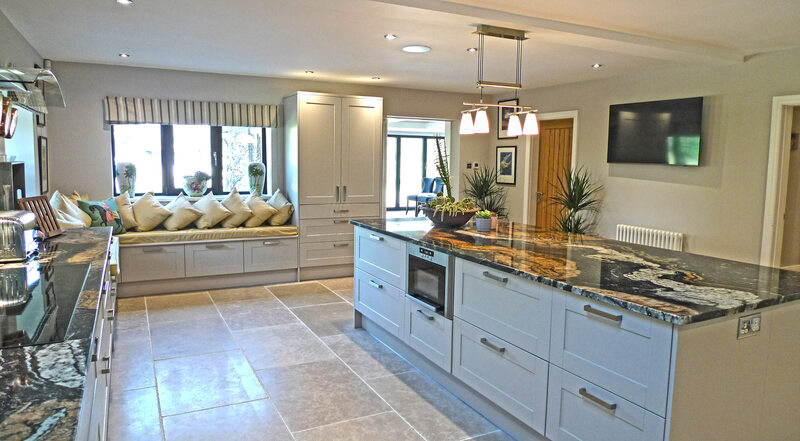 As well as looking beautiful, the kitchen is an incredibly practical space for a house this size. It’s equipped with 2 dishwashers, 2 fridge freezers, 2 ovens and plenty of space for multiple people to work alongside each other. There’s a fab bench seat in the corner of the room, perfect for a quick cuppa and chat while dinner is cooking. There’s also a huge island in the middle – perfect for preparing food or setting out a buffet for people to serve themselves. The details continue into the utility room where there’s a heated bench to dry out your boots if you venture out for a walk. They even have an ice machine so your G&T will always be the perfect temperature. There are 5 rooms in the main house and a further 2 in a small chalet at the side of the house. 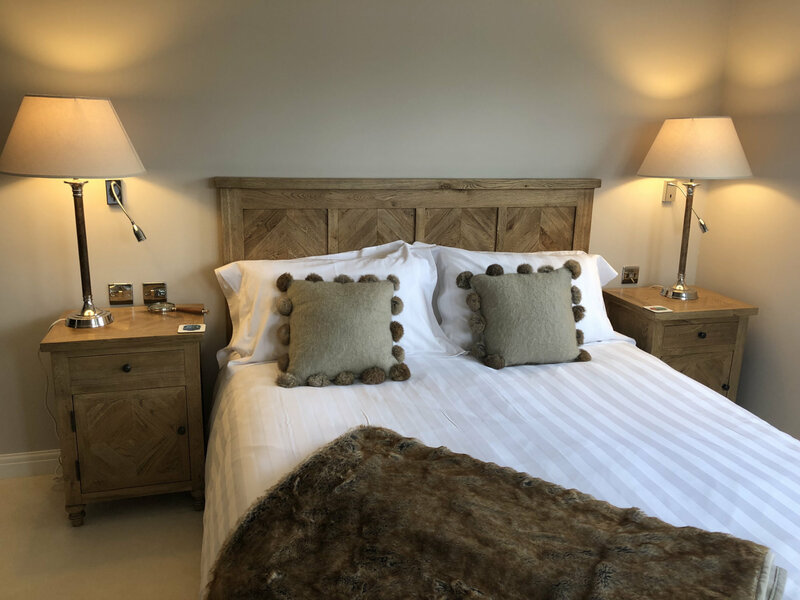 All the bedrooms are furnished to a really high standard with a mix of twin and king size beds. No-one will feel like they’ve drawn the short straw with their bedroom here. They are all ensuite with fabulous walk in showers. Every little detail has been taken care of as well, with soft fluffy towels, robes and slippers in each room. 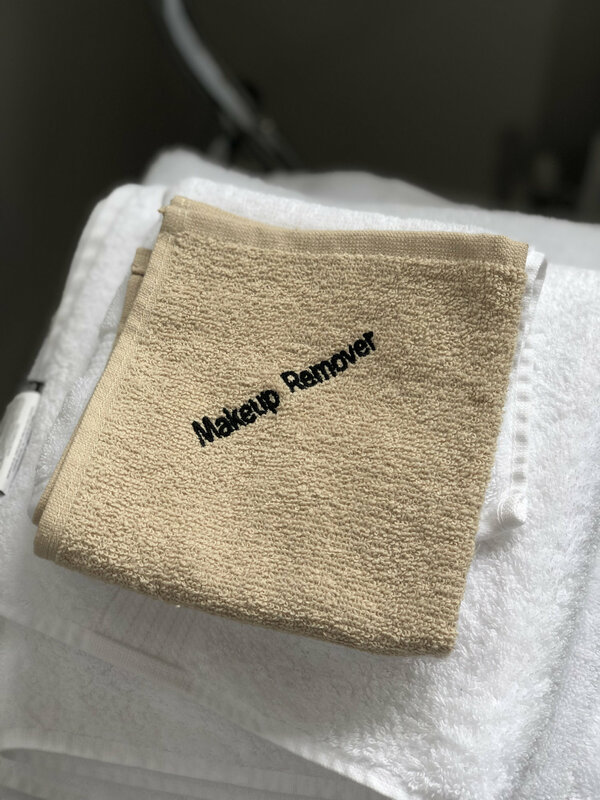 The little extras like a ‘make up remover’ cloth and a magnifying glass in every room really make this place stand out. Ian and Angela have created a large comfortable, all weather seating area along one side of the house. There are grey bench seats with lovely contrasting bright cushions. 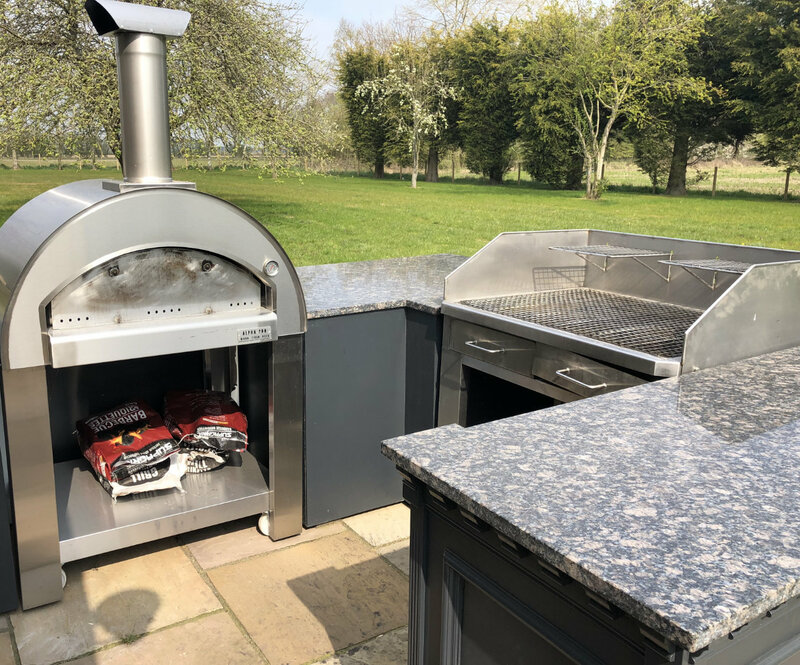 There’s also an outdoor kitchen with a BBQ and a wood fired oven, an outdoor bar and hot tub. It’s all set in tranquil gardens which are not overlooked, there’s just fields all around it making an ideal setting. As there’s so much land surrounding the house, the plan is to offer the field adjacent to the house for marquee and tipi weddings. There will be a small building built on there. It will house toilets, a chilled storage room and a space for caterers to bring in their ovens and cook. Marquees can then be erected next to the building with access for the toilets and the kitchen for the caterers. This means you won’t need to worry about hiring portaloos, a generator or a chilled trailer for keeping your food and drinks cold. The premises aren’t licenced for weddings at the minute. But you could hold your ceremony at Bishops Manor or nearby Saltmarsh Hall and then head back here for your marquee reception and party. I’ll bring you more news on this as the development progresses. The house is perfect for a small welcome dinner the evening before your wedding with accommodation for immediate family. Why not then return to the house on Sunday for a family brunch or barbeque? It’s lovely to extend your wedding beyond the one day and this setting is ideal to continue the celebration. 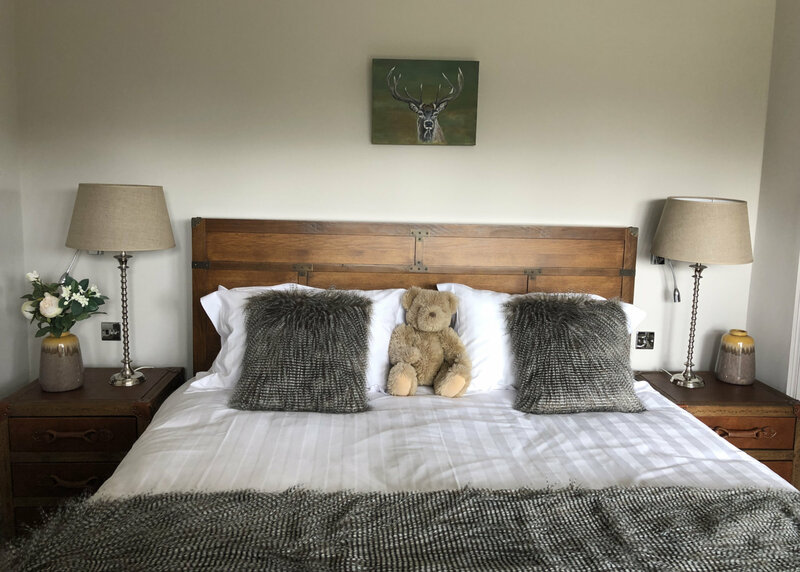 So it’s fair to say I had a fab stay at Woodland Lodge. I love the house and just wish it had a few more bedrooms so I could fit all my family in! It’s perfect for family stays, for hen do’s or big birthday celebrations. I can highly recommend the Lodge and hope to be able to stay here again in the future. I’m excited to see what Ian and Angela do with the land for weddings – if it’s anything like the house it’s going to be incredible. Thank you both for your amazing hospitality. Now you know I love a marquee or tipi wedding, so if this sounds like your dream location, please get in touch and lets talk about how I can help you to create your dream wedding there.